The Njal saga, often called Brennu Njal saga ( The Saga of aisl. 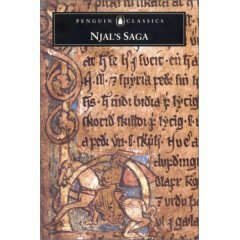 Njáll or The Saga of the Brenna Njálls, sometimes abbreviated Njala ) is one of the most famous and popular Icelandic sagas. 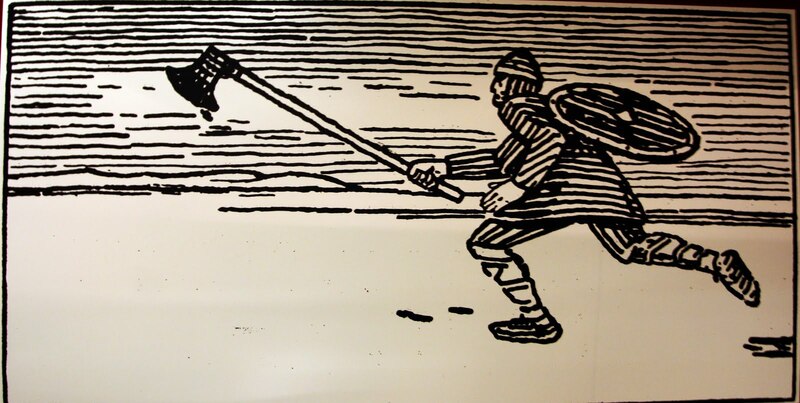 Brenna is the term for a form of murder by arson and appears as a motif in other Icelandic sagas. A feud between former family friends of Njáll Þorgeirsson and his wife Bergþóra Skarpheðinsdóttir Bergþórshvóll in one hand and Gunnar Hámundarson and his wife Hallgerður Höskuldsdóttir Hlíðarendi on the other hand means that Njáll the house is lit above the head. 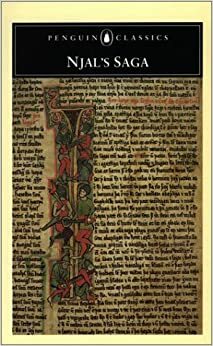 Was written the Njal saga by an unknown author probably 1270-1290 (1280 by Einar Ólafur Sveinsson ). The nationally known Icelandic artist Friðrik Þór Friðriksson staged in 1980 an experimental film on the subject. 1989 produced the BBC a radio play version of the saga from a manuscript of David Wade. The same script was set to music in German translation by the WDR 1991. The Icelandic television has finally filmed the saga of 2004.